With spring in the air in Loveland, Colorado, many of us are eager to get outside. Whether you’re a runner, cyclist, or simply enjoy a walk through the park, I can think of no better way to welcome the warm temperatures than an enjoyable stroll through the Benson Sculpture Garden. 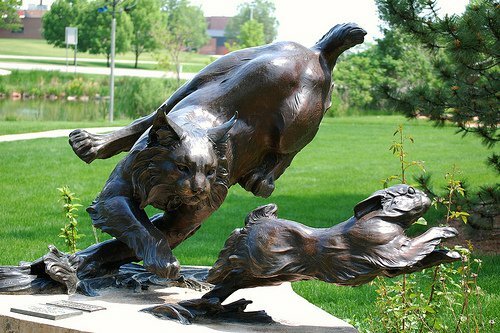 The Benson Sculpture Garden has been one of the most beautiful and diverse locations in Loveland since 1985. There are 139 sculptures on permanent display throughout the park, with pieces that will connect with every taste and age group. The park is located at 2908 Aspen Drive in Loveland. A map of the Benson Sculpture Garden is available on the Sculpture in the Park website, highlighting the name and location of each sculpture. Whether you’re a local art buff, a fan of fitness in search of the perfect running spot, or simply visiting Loveland, the Benson Sculpture Garden is the perfect place to ring in spring. When you visit the park, all of us at The Law Office of Chris D. Hefty would really enjoy sharing your experience. Be sure to tweet any pictures at @ChrisHefty_Atty so we can see how you spent your time in the Benson Sculpture Garden, as well as which pieces of art were your favorite! Also, be sure to return in August for the Sculpture in the Park 31st Anniversary Show, which showcases over 2,000 pieces of art from all around the world.